Director Vijay has continued to astonish audience with his choice of genres. While he could make a stylish action flick like Thaandavam, he made something very underplayed like Saivam. Jayam Ravi is equally unique when it comes to picking the best scripts. He was a forest ranger in Peranmai but now plays a naive tribal guy in Vanamagan which is more like Tarzan for the Tamil audience. The new treatment should do wonders. 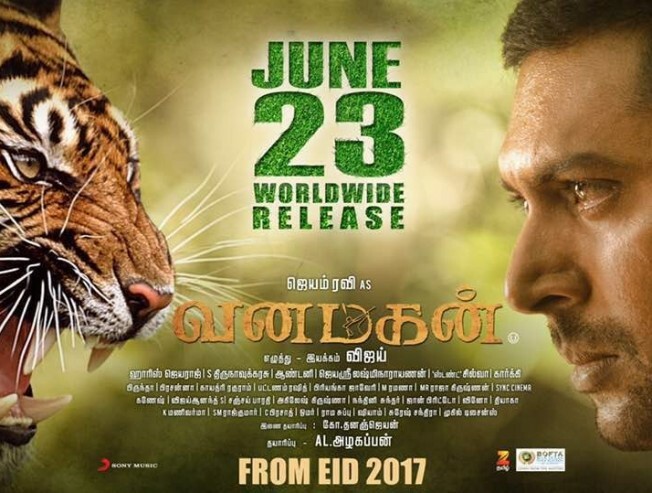 Vanamagan will release on June 23rd, confirmed the film’s crew. It’s produced by Think Big Studios and has music by Harris Jayaraj.